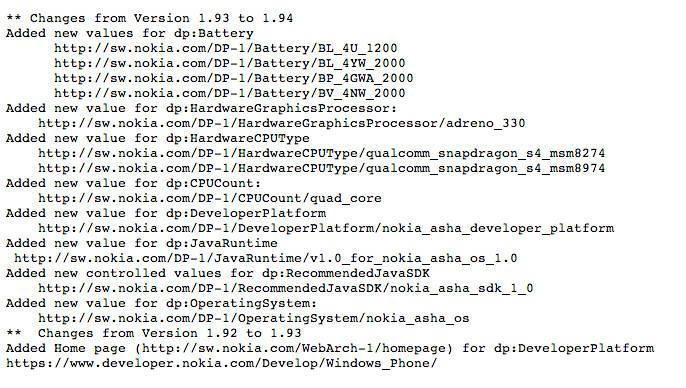 Nokia is not working with that many processors from Qualcomm, so when a new one appears on its developer pages, one ought to take notice. The new arrival there is none other than the quad-core Snapdragon 800, the powerhouse of mobile these days. It comes to indicate that when Microsoft issues the next generation of Windows Phone, which supports 1080p screens and multicore chipsets, Nokia could be ready with exactly such a device. Now whether it will be the rumored phablet, tablets or something else we hope to learn as the leaks progress nearing the release of the device(s) with Snapdragon 800 from Nokia. The Adreno 330 graphics processor that accompanies it is also mentioned, as you can see below, adding further credibility to Nokia's quad-core future. it is for sure. where is troll now. i guess this will be a phablet and Nokia will own 2014 year. Wow, Nokia is picking up pace. Interesting. Yeah! WP runs smoothly on dual core processor. I wonder how will it run on Quad cores! It will be so fast that you won't even see anything. My guess is, quad core devices will have true multitasking activated (but maybe they limit up to 6 apps running simultaneously, and any extra apps will be paused). I'd prefer if there is a limitation to ensure lag free experience. They should add a pause and X/close button to each item in the task manager. I prefer buttery smooth performance and I would not mind if they limit multitasking up to 6 apps at a time. One more thing I saw that New Smartcamera app runs slowly, quad core will fix it I guess! Damn it you beat me to this point. This is exactly why Nokia is bring Quadcore for the camera capability and with the Pelican project coming on stream in Q1 2014. Microsoft knows that if they keep limiting Nokia WP8 will faulter. Finally 64 cores is coming on stream. Now when will we actually see a quad-core S800 based Nokia is the question, we already have Androids from Samsung and some Chinese OEMs coming in with this chip. Somehow i get this feeling where a Lumia 950 will repeat the success of N95. Make it the 940...bring attention to the 4 cores. Very interested on how an OS that performs well on a dual-core processor will perform with that much processing power. So excited. Interesting indeed. MS skips all the middling dual core 2011 chips to go with the workhorse S4+. Now they've skipped all the early quad chips and gone straight to the beastly S800. Perhaps they do know what they're doing after all. Good strategy, letting other platforms and OEMs be the "guinea pigs"
Depending on what they put into WP8.1, maybe the quad core will actually be justified. Nokia...surprise me with a phablet! It is coming my friend!! Nokia is set to launch 4 different variants of Phablet to compete with Samsungs line of phones.